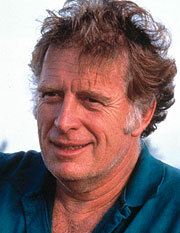 The GRAMMY Museum is proud to welcome Rock and Roll Hall of Famer and music and film producer Chris Blackwell. Blackwell has had a vast influence on global popular music and culture. His long-lasting influence on contemporary popular music is a result of his Jamaican roots and expertise with the Caribbean musical heritage. He has introduced the world to the success of many nationally recognized artists and has remained an influential figure in the music industry. As founder of Island Records, Blackwell released numerous hit albums for legendary artists that emerged on the label including Cat Stevens, Jimmy Cliff, Traffic, Robert Palmer, John Martyn, Nick Drake, Grace Jones, The B-52s, Melissa Etheridge, Tom Waits, Marianne Faithfull, Roxy Music, U2 and Bob Marley. His creative innovations lead him to pursue interest in film including Oscar winning movies such as Kiss of the Spider Woman and A Trip to Bountiful as well as She's Gotta Have It, Mona Lisa and Koyaanisqatsi. Having brought the best of Jamaica to the world through music, Blackwell is now working to bring the best of the world to Jamaica, reawakening the sophisticated and responsible traveler to the beauty and vibe of Jamaica through his Island Outpost resorts. Hear Blackwell discuss his remarkable career, current projects and how his passion has led to many critically acclaimed worldwide hits. After the interview, moderated by GRAMMY Museum Executive Director Bob Santelli, Blackwell will take questions from the audience.